Several years ago, a friend was telling me about her family’s favorite meal that she makes for them. She makes it birthdays and other special occasions. On the occasion we were together, she had made it to serve to a large group of hungry teenagers at church. The kids left happy and full. 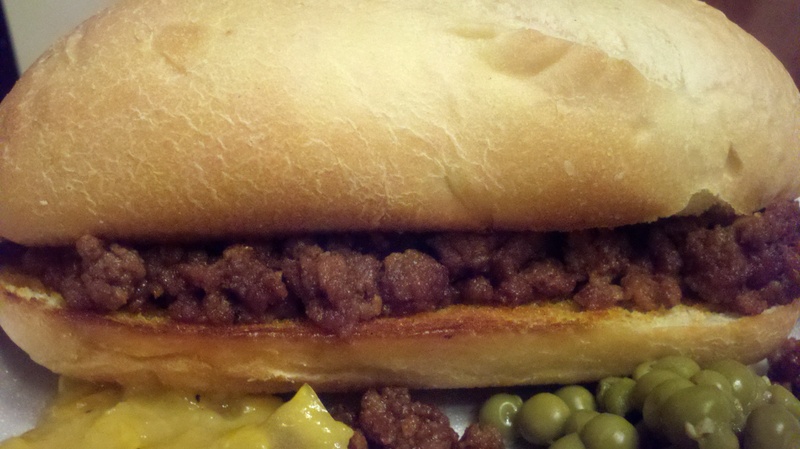 Surprisingly, her dish is the underappreciated Sloppy Joe. Go figure. Her recipe is made up of four things: ground beef, Hunt’s ketchup, Hunt’s barbeque sauce, and garlic powder. The ketchup and sauce have to be plain Hunt’s and nothing else. First, brown the ground beef and drain off a little of the fat. To that, add a cup of the ketchup and a cup of the barbeque sauce. On top of that, add two tablespoons or to taste of the garlic powder. Allow to warm through. Serve all over a bun.